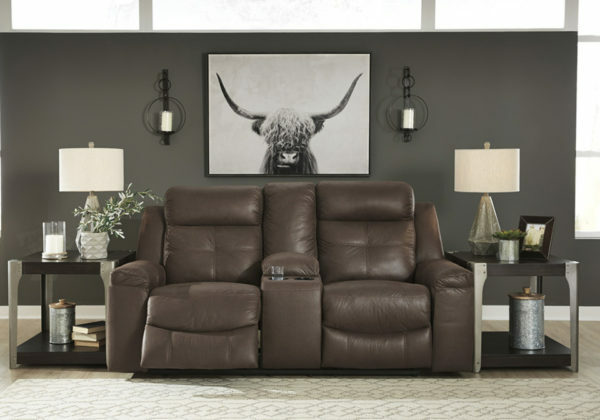 Rustic character comes forth in the warm brown Jesolo reclining loveseat. Designer stitching adds a fashion-forward touch to the soft cushions. Faux suede fabric speaks to your knack for superior-quality materials. High back provides ample support as you get off your feet for a bit. 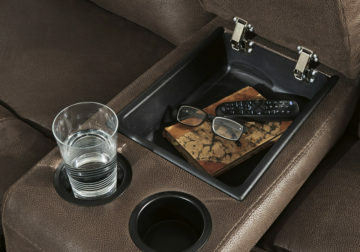 With just one pull of tab, you’ll be easing back into relaxation and popping your favorite beverage into a cup holder. 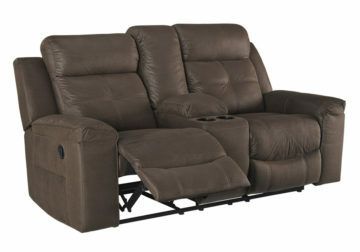 Infinite levels of comfort await.